From the moment north-east business men and women arrived at Aberdeen Airport to head off to OTC, the positive vibe and buzz hit them and that upbeat mood will increase as this week goes on. Design and engineering business PD&MS Energy is highlighting its capabilities at the show. Business people from across the world are travelling to the US for the annual OTC meeting - the world's most important oil and gas show, being held in Houston from April 30-May 3. Preparations for the largest oil and gas show in the world are well under way, with Scottish firms showing a high level of interest in joining the annual trip to the Offshore Technology Conference in the US. One of the biggest energy events in Scandinavia - Offshore Northern Seas (ONS), the sister event to Offshore Europe - takes place this year. 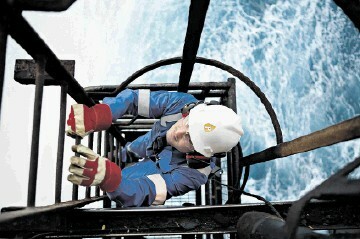 OFFSHORE Europe (OE) 2011 broke records in the air, it emerged yesterday. Another successful Offshore Europe oil show drew to a close in Aberdeen today. Gulfstream Services International UK has launched a fully-automated wireless cement head at Offshore Europe. Deepwater drilling and performance improvement specialist Exceed is exhibiting for the first time at Offshore Europe following a record year. 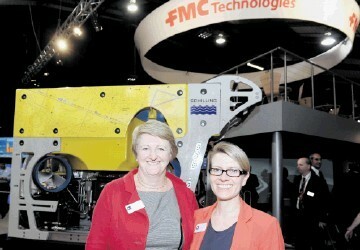 The total attendance for the first two days of Offshore Europe was just over 24,000 - up 3% on the same period in 2009. The first day of Offshore Europe saw nearly 12,000 visitors through the doors by 1pm at Aberdeen Exhibition and Conference Centre, show chairman Samir Brikho said tonight. Offshore Europe is staging a "Dragon's Den" on the final day of the show (September 8). Welcome to our new look and, we believe, dramatically improved web presence, with more news and features that ever before, including material specifically written for the site . 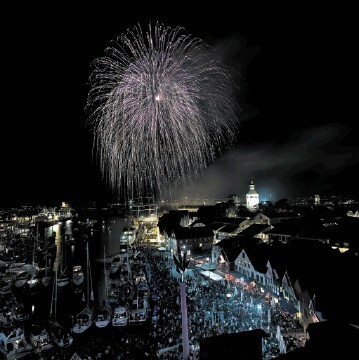 . . like this . . . er . . . blog. We're of course all hoping that the gremlins stay in their box, especially since this is Offshore Europe week. A DELEGATION of seven UK companies is heading to Monaco to showcase their technologies and expertise at a global conference and exhibition focused on the subsea oil and gas industry.